Need a Sturdy Boom Stand for reduced Vibration and Optimal Versatility? This stand provides what is needed! 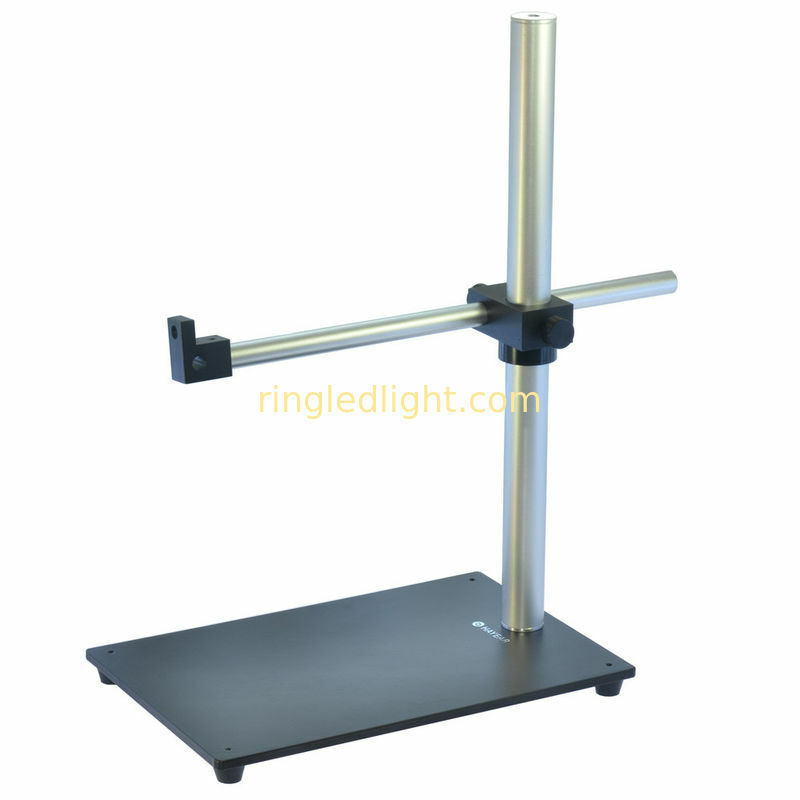 This stand has a dual arm system with a counterweight on the opposite end of arm to counter the weight of your microscope head. This gives more stability compared with a common type of boom stand. The multi-axis rotation feature allows this boom stand to locate your microscope head to most any position or angle. This can be a greatly needed tool when you have a hard-to-see location such as inspecting and searching for cracks on the solder of a circuit board. We provide the boom stand only. This is not a complete system. A microscope head with optics is needed. You provide the head. We have several types of adapters to fit a variety of microscope heads. Contact us for details about your specific requirements so we can assist with a smooth fit.